Here’s an example of how my assumptions as a reader led to me getting a message back-to-front. My family and I went to the Wet n Wild water slide park a few days ago. We had been there for several hours before I realised that I was reading the map incorrectly, and this was encouraging me to draw the wrong conclusions about the height restrictions on different rides. As my youngest child is only 7, the height restrictions were important for us. I assumed that green represented a green light (that the ride would be suitable for everyone) while red represented a red light (that the right had the most restrictions). Eventually I figured out that my assumptions were wrong. On this map, the least restricted rides are those with four coloured squares, including a red square. 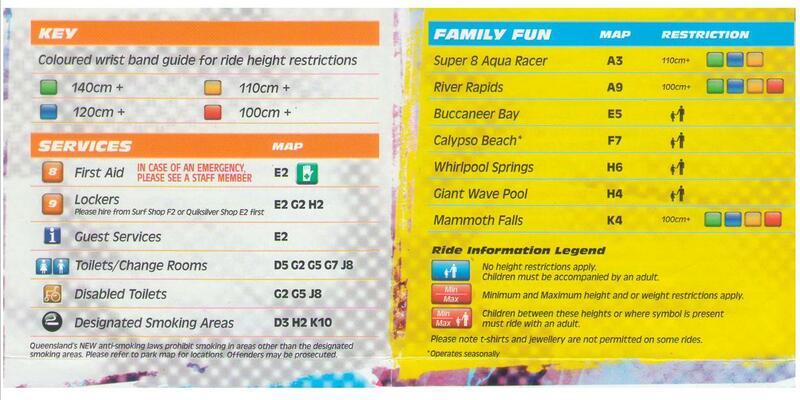 As coloured squares drop off, the ride becomes more restricted. 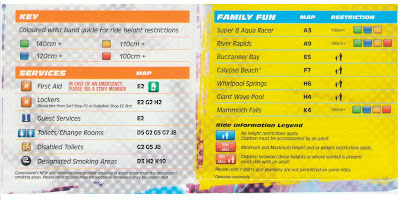 There’s one ride that has a green square only – which of course means that it’s restricted to people who are over 140cm tall. There’s nothing wrong with the information on this map. It’s just that the colour and order of information didn’t match my expectation, so I made an annoying mistake. I wonder how many other Wet n Wild visitors make the same error?